In immersive and interactive contents like 360-degrees videos the user has the control of the camera, which poses a challenge to the content producer since the user may look to where he wants. This paper presents the concept and first steps towards the development of a framework that provides a workflow for storytelling in 360-degrees videos. With the proposed framework it will be possible to connect a sound to a source and taking advantage of binaural audio it will help to redirect the user attention to where the content producer wants. To present this kind of audio, the scenario must be mapped/reconstructed so as to understand how the objects contained in it interfere with the sound waves propagation. The proposed system is capable of reconstructing the scenario from a stereoscopic, still or motion 360-degrees video when provided in an equirectangular projection. The system also incorporates a module that detects and tracks people, mapping their motion from the real world to the 3D world. In this document we describe all the technical decisions and implementations of the system. To the best of our knowledge, this system is the only that has shown the capability to reconstruct scenarios in a large variety of 360 footage and allows for the creation of binaural audio from that reconstruction. 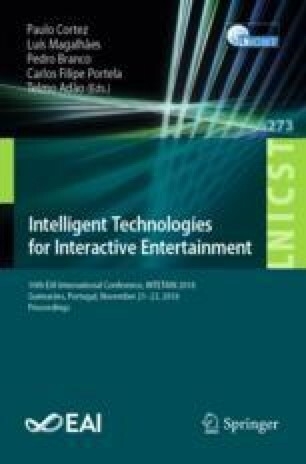 This article is a result of the project CHIC - Cooperative Holistic view on Internet and Content (project n\(^\circ \) 24498), supported by the European Regional Development Fund (ERDF), through the Competitiveness and Internationalization Operational Program (COMPETE 2020) under the PORTUGAL 2020 Partnership Agreement.